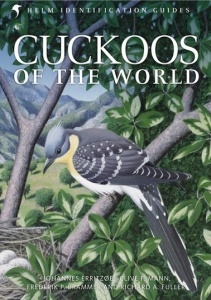 This authoritative handbook, part of the Helm Identification Guides series, looks in detail at the world's cuckoos, couas and anis - the family Cuculidae. Famed as brood-parasites of other birds, the cuckoos include a diverse range of species, from the roadrunners of North America to the spectacular malkohas of southern Asia. This book discusses the biology and identification of these birds on a species-by-species basis, bringing together the very latest research with accurate range maps, more than 600 stunning colour photographs that illuminate age and racial plumage differences, and 36 superb plates by a team of internationally renowned artists.